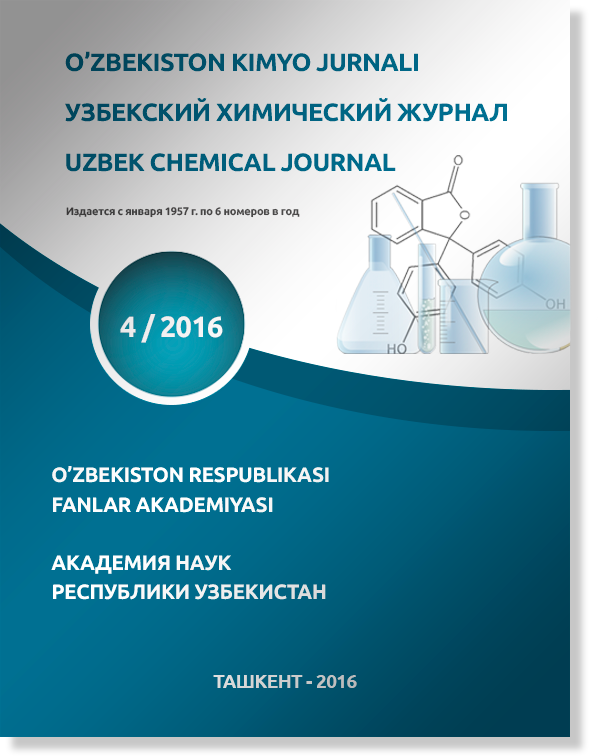 The Uzbek chemical journal ISSN 0042-1707 has been published since 1957 by the Academy of Sciences of the Republic of Uzbekistan. The founder of the journal is the Academy of Sciences of the Republic of Uzbekistan, publisher - Institute of General and Inorganic Chemistry of the Academy of Sciences of Uzbekistan. The Charter of the Uzbek Chemical Journal was re-confirmed in 2001. The Uzbek chemical journal was re-registered in the Agency of Press and Information of Uzbekistan in 2006, registration number No. 0047.